Join us as a volunteer for VEX Worlds April 25-May 1, 2018, in Louisville, Kentucky, and be part of the culminating event of the season. Prior experience not necessary and we’ll provide the training. We are currently in most need of experienced Referees and Tournament Manager Operators. Help us make this the best year ever! 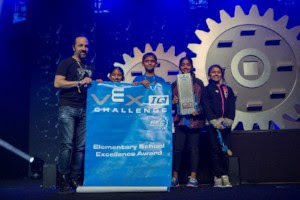 The VRC and VEX IQ Challenge Q&A Summary documents will now be updated on a monthly basis so you can always refer back for up-to-date answers. Be sure to bookmark the below links for future reference. Be sure to check out the online apparel store provided by Fine Designs, where you can purchase customized apparel for your robotics team(s) or competitions. Tiered pricing and bundle options available to fit your needs, big or small.